Social networking is already one of the major factors in business marketing. The use of social websites may not only impact a business’ chance in getting a higher ranking in search engine optimization but these networking sites can easily attract new customers and cater to a broader niche. 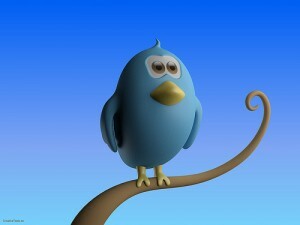 Twitter is one of the social networking sites today with the most number of members. As a business, you should create your own twitter account so that customers can follow you and they can also share your tweets if they like. Sharing a link to your site increases your ranking and is one of the better tools in search engine marketing. Twitter differs from any other social sites since people can only share their thoughts with limited characters. But this is actually an advantage to businesses because you will be able to send your followers short but straight to the point messages. Long posts can instantly bore customers. Lengthy messages are most of the time being ignored. With a single tweet of 140 characters, you will be able to relay your message and you can grab the attention of consumers easily. Another reason why twitter should be used in marketing is its immediate and quick updating. Whenever you tweet, it will appear within seconds on the feeds of those who follow you. Accessibility is another advantage of twitter and other social media sites. Customers can login through their computers, laptops or netbooks and there is even a twitter application for smartphones and tablets too. People will be able to tweet anywhere they are. This would also mean that they will be able to see your tweet anytime of the day. With the help of twitter, you get to build a personal relationship with your customers. Their comments about the products and services that you offer will be helpful in assessing your performance and in making your brand even better. In addition to that, twitter can also be an easy customer service tool. Consumers can ask questions and you can answer them back by tweeting. Some businesses even retweet the questions to their own followers. Through twitter, you can drive traffic into your website. Once you tweet, you can add a link at the end of the message which leads to your page so they could have glimpse on what products you are offering.